Power of Team: Connection, Growth and Personal Mastery Celebrated! September 18th was an evening of festivity, elegance and greatness for ICF Minnesota. We gathered at the Metropolitan Ballroom to acknowledge some of the many positive changes coaching is making in our communities, organizations and lives. We were also fortunate this to have our Master of Ceremony, Jason Jones, commanded the audience with his with presence. While I was excited about the evening; I was even more overjoyed when it was over; simply for the fact that it was far more emotional, meaningful and elegant than I ever anticipated! It was simply a beautiful evening of celebration. As each person took their turn at the microphone and shared their story, my passion for coaching and the impact it has on lives was affirmed. This was especially evident as Jennie Antolak, the 2018 Gaston recipient shared her story. Her dedication and passion for the profession was palatable and as she shared if only 4 out of 10 people in the world know what their purpose is in life, as coaches we have plenty of work to do! There were three finalists vying for the Prism award with the winner being Medtronic. Their representatives shared both data and meaningful, real-life stories of the impact coaching has had in their organization. This impact, when implemented in larger organizations has a trickle-down effect that is creating more and more awareness around why coaching is so important for positive change. Best Buy was another finalist for the award. They shared similar stories, data and metrics and they too, had many scenarios of positive change and impact that they shared. The City of Minneapolis shared had a unique story of challenge where coaching was introduced to change a culture. This was presented with a humorous twist; ultimately ending with a positive result, showing once again the many ways coaching can be used. While the Gaston award is given annually, (we all look forward to that every year), the Prism award will not be awarded again until 2020. After hearing so many meaningful stories in these organizations I am already looking forward to the next one. A HUGE thank you to all at ICF Minnesota board members both past and present that made this evening an inspirational success! Each year ICF Minnesota recognizes a member who has exhibited distinguished service to the coaching profession and to the chapter. The evening was a beautiful tribute to the distinguished service of coaching and Jennie Antolak the Gaston Award Recipient for 2018 . We celebrated an evening with coaches, family and friends through heartfelt stories that took us on an inspiring journey. Mantras of “trust the process” and “surrendering to your purpose” were ever present and a great reminder to get out of our own way. Dana Kadue, 2017 Gaston Recipient, took us on an adventure telling us Jennie’s story. As a result, ICF Minnesota cannot think of anyone more deserving of the 2018 Gaston Award. Jennie’s has a career rich in the knowledge and experiences coaching offers. Her school, Learning Journeys, The International Center of Coaching, offers coaching certificates, one on one coaching, as well as tools and resources to support clients, students and the profession. She holds the highest level of accreditation (MCC) from the International Coach Federation. 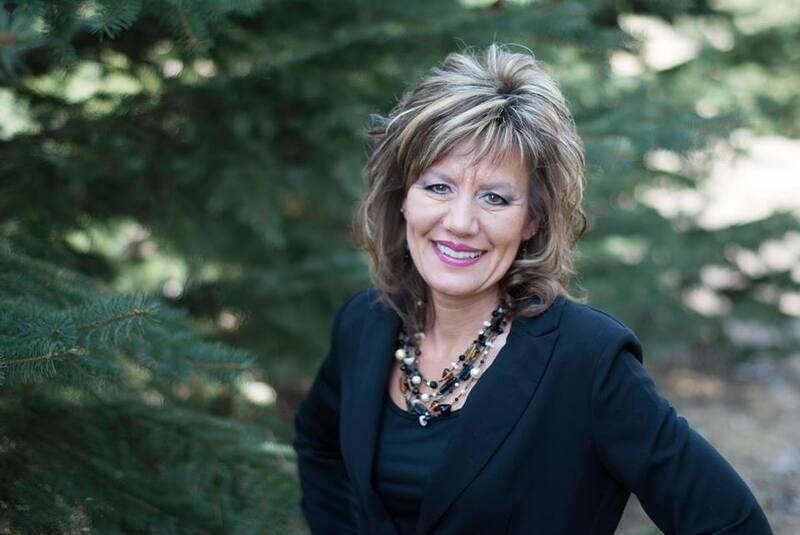 Jennie embodies the essence of coaching and breathes life into the profession through her exhibited service, leadership, teaching and continued advancement of the profession. Her words of gratitude shine through her somewhat reserved disposition where we encourage her to step into her greatness while she does the same for us. There is great love and respect for Jennie and her work, and we are all proud to continue to be part of the work she has so tirelessly champions. Congratulations to Jennie Antolak the 2018 Gaston Award Recipient! Global healthcare company with its Operational headquarters in Minnesota was recognized with the ICF MN Prism Award for organizational excellence in coaching. Medtronic plc, a global healthcare solutions company committed to improving the lives of people through medical technologies, services, and solutions, was awarded with the ICF Minnesota Prism Award at the 2018 ICF Minnesota Awards Ceremony on September 18th at the Metropolitan Ballroom. The award reflects Medtronic’s commitment to enhancing organizational effectiveness by using coaching as part of its leadership development strategy. Medtronic was one of three organizations nominated for the award. The other nominees included Best Buy and the City of Minneapolis, Business Licensing Division, who also demonstrated how coaching is making a positive difference in their organizations and were recognized for their coaching initiatives. Medtronic’s mission is to alleviate pain, restore health and extend life. Over the last five years Medtronic has developed a global Center of Expertise (COE) and suite of coaching offerings as part of its overall leadership development strategy reaching all levels of the organization. Medtronic’s coaching programs have significantly increased engagement, shaped the leadership culture, and delivered a return on investment (ROI) of over 200%. Medtronic has an operational priority at the direction of CEO Omar Ishrak, to build a world-class people leadership culture and capability. This priority aligns with Tenet 5 of the Medtronic Mission: To recognize the personal worth of employees by providing an employment framework that allows personal satisfaction in work accomplished, security, advancement opportunity, and the means to share in the company's success. Best Buy believes in the value of helping people achieve their fullest potential. “Our employees are our most valuable asset” is a sentiment shared by all Best Buy leaders, said Suz Roemer Feely, Lead Coach, Leadership Coaching and Development at Best Buy. The company’s coaching program touches all leadership levels across Best Buy’s extensive corporate headquarters, field operations and Canada. Best Buy leaders also understand the value of accelerating development. The coaching effort began more than three years ago as the Best Buy shifted into growth mode, after a period of rapid transformation, which required leaders to build focus, adjust quickly and lead more effectively. Recognizing the impact 1:1 coaching provides, an internal coaching function was created. It quickly expanded into embedding coaching principles into training for both corporate and field leaders and is currently included in trainings for new store general managers, as well as in leader assimilation and corporate leadership trainings. Coaching was deemed an essential effort to enhance the effectiveness of the division and the program put in place was a resounding success and became a model for future culture change initiatives within the City. The 9-month coaching process resulted in a 36% increase in scores on the employee engagement survey, a reduction of 50% in the overall number of grievances and improved relations with the City Council. The Prism Award is ICF Minnesota’s highest honor for organizations that demonstrate how their coaching initiatives have addressed key goals, shaped organizational culture and yielded discernible and measurable positive impacts. We congratulate Medtronic for winning the ICF Minnesota Prism Award and recognize the outstanding use of coaching at Best Buy and in the City of Minneapolis, Business Licensing Division. Christine Pouliot, ICF MN Outreach Chair, Cheryl Doggett, VP of Global Learning and Leadership Development for Medtronic, Anne Marie Pernice, and Jeff Staggs. Last month we celebrated the completion of our chapter’s ICF Foundation’s Ignite Project. We clocked 70 hours of pro-bono coaching with the staff of St. Paul Neighborhood House (NH)! Here’s a little back story to set the stage. For the past year, ICF Coaches world-wide have been partnering with organizations in support of the United Nations 2030 sustainability goal on education: “Ensuring inclusive and quality education for all and promoting lifelong learning.” To meet the need for social progress, your ICF MN Ignite team’s value proposition is that coaching is an amplifier, and when used appropriately, a multiplier of achieving greater results and making greater impacts. The MN ICF credentialed coaches participating were: Elaine Gaston, Dana Kadue, Gary Dietrich, Nancy Jameison, Jean Johnson, Sandi Lindgren and Theresa Henkelman (as well as Joan, Chris and John). Carla Beach served as the Coach Liaison coordinator and Theresa Nutt as our Board liaison for communications. Initially the coachees were either "all in" (engaged, responsive and very committed) or they expressed some reluctance to the coaching space, which faded very quickly when they realized the support that was immediately available to them. Coaching enabled movement for coachees. Common movement themes included increased confidence, productive and realistic goal setting and achievement, and values definition and alignment. Overall, coaching was reported as a positive growth experience; coaching pairs reported good energy and connection; coachees created change goals and achieved them consistently. As one coachee summed the experience: "This coaching has changed my life." We saw this partnership as the opportunity of Ignite, to “help build capacity in accelerating your organization’s impact, and in turn move forward the goal of ensuring inclusive and quality education for all. . .” Our Director meetings, contract, and ongoing communication made mention of that “capacity” building opportunity. NH understood Ignite as an opportunity for individual develop and growth. So where do we go from here? What’s our “forward the action; deepen the learning”? •	Create internal transparency about the coaching partnership within the organization. NH kept private the Ignite project and coaching that was happening within the organization. Greater openness about Ignite as a capacity building initiative could enhance the opportunity for organizational and community impact. 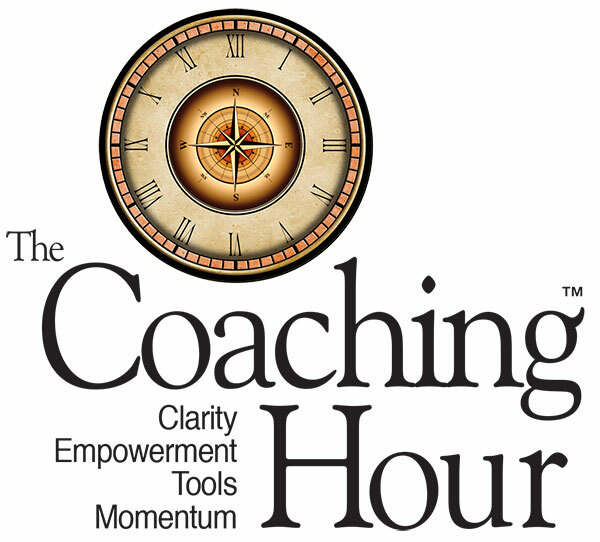 •	Ensure that the selection of coachees includes multi-levels of leaders, Directors and above for the sake of “building capacity in accelerating organizational impact.” Coachees at NH were mindfully selected but few were at a manager level or above. •	Co-design, with the organization, an ROI measurement to guage impact, administered pre and post coaching. Current measurement from the ICF Foundation includes a post coaching survey. We will receive results of that survey later this Fall. Although our desire to “Ignite” did not meet our intended goal, we celebrate as coaches and co-leaders the completion of this project. Three coaches have continued in some capacity with their coachees. We gained institutional understanding from the experience, and as regularly happens in the coaching space, we grew as coaches simply from the experience of bearing witness of the journey of those we had the opportunity to serve. We are confident that the coaching will continue to impact both the coaches and coachees, and hopeful that the reverberation of coachee movement will be felt throughout the organization. By asking NH to reflect and consider the impact, movement is happening within the organization in some new way. And at the same time, your ICF MN Ignite team will continue to consider the process and impact while using it to continue to build the reach of coaching as an amplifier. Our clients come at various stages of development and it is our role to assess where they are and provide safe and sacred space for them to create self-directed strategies to implement the changes they desire. My new book, Living From the Center Within: Co-Creating Who You Are Becoming, discusses a model of three levels of consciousness: I am Individual, I am Interconnected and I am Infinite. The various skills we use such as authentic communication, spiritual practice, emotional and social intelligence and mindfulness are determined moment by moment as we meet our clients where they are and invite them to step more fully into their power. Growth can be an increase in confidence and engagement as they enhance their gifts, talents, wisdom and passions. As clients move to higher levels of consciousness they also gain clarity and power as they expose and unblock limiting beliefs, stuck patterns and fears. In our presence, they know their inner essence more deeply and learn to align every day choices with their whole and Holy self and live a more authentic life. Understanding the current health conditions of our client’s mind-body-spirit is key to supporting their optimal well being and transformation. Michele Rae is the founder of The Center Within, LLC, author of Living From the Center Within: Co-Creating Who You Are Becoming, and graduate faculty at the University of Minnesota. In her private practice, she provides holistic coaching designed to accelerate and support personal, professional and organizational transformation. While working with Michele, clients become more confident and engaged as they enhance their gifts, talents, wisdom and passions. They also gain clarity and power as they expose and unblock limiting beliefs, stuck patterns and fears. During individual sessions and organizational development, Michele utilizes her abilities in deep listening, intuition, appreciative inquiry, spiritual practices, mindfulness, presence and emotional intelligence. Coaching with Michele, clients create self-directed strategies to implement the changes they desire to create a life they love. Learn more at www.CenterWithin.com or contact her at Michele@CenterWithin.com. The Gaston Corner~ thoughts, insights and stories shared by our Gaston Award Recipients. This issue and our new Gaston recipient Jennie Antolak, MA, MCC, President, Learning Journeys, The International Center of Coaching. It is our structural reminder to all coaches that it doesn’t matter how much expertise or experience we possess, the only people who truly know what is right for our clients is our clients. Our role is merely to assist them in trusting the voice inside. The challenge for us is to not get in the way or to attempt to help as our clients struggle to listen. It may seem useful and necessary at times to provide some insight, connect a few dots, or share a story to ease our clients’ effort and/or avoid failure. Yet, if our voice becomes part of the process, it makes their voice less relevant. Our input could further condition our clients to seek answers outside of themselves all the while; they were born with the knowledge within. If we fully embrace the ICF coaching philosophy that “people are creative, resourceful and whole”, then it’s not necessary for us to influence the process. Our clients have it within themselves to solve their own issues. All we need to do is ask bigger, better and more meaningful questions as well as trust they will hear and act on their voice inside. Join us at our December event when Jennie Antolak will be our guest speaker. Join us in hearing compelling stories, supporting data and the value of releasing responsibility. Attendees will see how allowing clients to falter can help them better find their way to a greater story. 1. Understand the possible negative effect a coach can have on a client when s/he influences the session vs. trusting the person and the process. 2. Further develop coaching skills to expand perspective for the client without having to insert personal perspective or guidance. 3. Re-engage and further believe in the power of coaching. At our December meeting, we will have an area designated for coaching books! Please bring any books you'd like to donate and please plan to take a book or three. We may even have a member willing to host a book club. 1. No money is to be exchanged. please take them home because we don't have a place to store them. The vision of ICF Minnesota is to foster significant positive change in the lives of individuals, in organizations and in the world, through the work of Professional Coaches. If you have a special gift for event planning and coordination and want to get more involved with ICF Minnesota please reach out to Trish Perry, 2019 President. ICF Global has great articles? Check out these great reads! ICF Updates Credential information each month?